Radio stations are rated in a very archaic way. For as many as four times each year (less often in smaller markets) BBM in Canada or Arbitron in the U.S. contact potentially qualified participants via land lines then mail booklets or “diaries” to random households in each given market. BBM or Arbitron then asks them to report radio tuning for a week. That’s right, every time you listen to radio – any station – you are supposed to keep record of that. Exact times. Exact station. Exact length of time. If you are a participant in a particular survey, they then ask you to take your handwritten booklet and put it in an envelope, find a stamp, and put it in a mailbox. That sounds cutting edge, doesn’t it? With the daily increase of cell onlies, this ratings system grows more antiquated with very passing year. Personal People Meters (PPMs) are being introduced in most major markets in North America this year, so some feel this will help. But again in order to be a participant, you need to receive unsolicited contact through a land line. This isn’t an issue unique to radio. 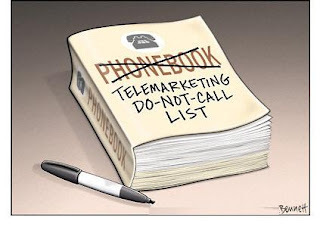 Telemarketing is a multi-billion dollar industry. Radio is just another interruption. And as of September, this practice will become increasingly more difficult to the marketing and survey industries. In Canada, the National Do Not Call List received approval to make changes to unsolicited telecommunications from the CRTC and those calls will decrease. As far as ratings and research opportunities for radio, this isn't great news. But I think I have enough credit cards and I’m very happy with my fifteen insurance policies.